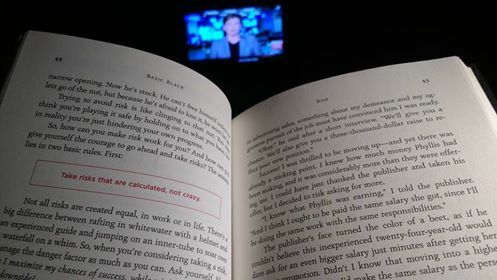 Reading this book has helped me so much, I feel almost compelled to share with you my learnings from Basic Black – The Essential Guide to Getting Ahead at Work (and in Life). 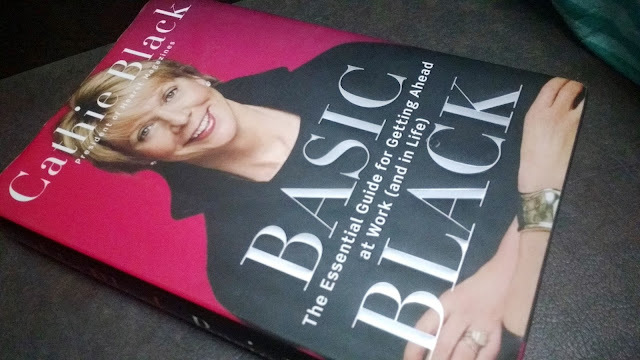 Recently I read Basic Black, a book written by Cathie Black, now the former President of Hearst magazines. This was a book given to me by my sister nine years ago. I always promised myself that I would get around to reading it, before I knew it, it was cramped up somewhere in my drawer buried under possessions I had accumulated over almost a decade. I am thankful to my instincts that I finally decided to go ahead and read Basic Black. I couldn’t have picked it up at a better time. This year began for me with a few professional highs but also a lot of brewing uncertainties. Within ten pages of the book, I felt confident enough to shake things up and make a move and do something about my career. So what is Basic Black about? It’s an honest lay-it-all-out kind of a book by one of the most successful women leaders in America. Cathie Black started out in the world of publishing as an advertising manager selling magazine ad spaces to clients and went on to become a publisher at a leading media house – Hearst Magazines. Rings a bell? Cosmopolitan, ‘O’ The Oprah Winfrey Magazine, USA Today, Esquire and Harper’s Bazaar are just some of the brands under the Hearst umbrella. So how did Black climb up the corporate ladder? She tells it like it is in her book. And sorry guys, there are no shortcuts. Black writes about her ups and downs, her highs and lows, her successes and failures; and she writes with ease that as you turn page after page, it almost seems like you’re hearing about her journey first hand from her over a private lunch that you’ve been lucky enough to have with someone as accomplished as her. I believe that learning is just not enough - you’ve got to share what you learnt. So I look at writing this blog post as my way of ‘paying it forward’. Below are ten things I learnt from Cathie’s navigation through the corporate world. 1. Be great at what you do. Don’t just do things for the sake of it. Really believe in what you are doing. Show interest and take initiative. Know your job. Always be prepared. Be your own devil’s advocate. Check your work and then double check it. And this one’s my favourite – focus on solutions and not problems. I find people obsessing over problems more than they really need to – there’s no time to waste. Let’s work at fixing things! 2. Be fearless. If you want something, make sure you’re taking the steps to help you get it. Don’t be scared. Don’t let people discourage you. Take your chance. If you believe it, risk it. Ask the questions, don’t be mute. Always think ‘Well, what’s the worst that could happen?’ Pick up that phone. Walk up to the cabin. Write that email. Cathie writes ‘The worst case scenario is rarely as bad as you think.’ Seize the moment. If anything, use fear as your launch pad. 3. Be a man. And this one’s especially for women at the workplace. When mistakes happen, women tend to feel guilty, question their ability and lose their confidence. Men don’t. Soon after they’ve thought about the situation, they shake it off and move on. Let’s learn from them. And one more thing – don’t personalize things that aren’t personal. 4. Be driven. Motivation comes from many sources, the biggest source being from within. Battle the odds. Make things happen. Unwavering determination can take you really, really far. 5. Be confident. Take credit when it’s yours. In times of pressure, Cathie says ‘Keep your brain working even if your head is on the chopping block.’ Even though internally you’re worried, put your bold face on and keep calm. Look people in the eye. Maintain good posture. Maintain composure. 6. Be proactive. Look out for the opportunity. Opportunities don’t necessarily come by. Create the opportunity. Go knocking on doors. Be your own solution. Don’t get lazy. Don’t wait. Don’t depend on anyone else. Help yourself get where you want. Be persistent. Don’t wait to be asked if you’re interested. Orchestrate your own success. 7. Be curious. Question things. Get the answers to your questions. Don’t be a ‘yes person’. Don’t accept status quo. Don’t pretend you know everything. Don’t be afraid to do things differently. 8. Be aware. Know the important people, let them know who you are. Choose where you sit in a meeting or at formal dinners strategically. Like Cathie says, worm your way in. Network. 9. Be unafraid to say no, to step out of something if that’s truly what you want. Face your choices head on and make the difficult decisions soon. 10. Be yourself. Be your best self. Define your own success. Know your strengths and your weaknesses. Take control. Be who you are in whatever you do. Have your all, not anyone else’s. Cathie quotes Oprah in the book ‘Live your best life’. This line has really stayed with me. The above is not an all-encompassing list. You’ve got to read the book if you really want to get an immersive learning experience. What’s great about Basic Black is that Cathie supports all of her advice with real life scenarios that she encountered as she climbed up the ranks. She unabashedly shares her biggest career mistakes and proudly reveals her learnings from these incidents. From working with Francis Ford Coppola’s failed magazine venture to making the most of a make-or-break meeting with Oprah Winfrey, Cathie shares her insights on succeeding in business and life. If you don’t have a mentor, find one, but until you do, I urge you to read this book.